For users of the Westjet iOS app, it has been updated today to support your iPad, along with new iPhone 6 models. On top of bug fixes, there’s now official support for iOS 8, improvements to Passbook boarding passes and also the addition of using your location to locate nearly airports for flight status searches. You wanted more? We’re giving you more! We’ve optimized our app for your iPad. 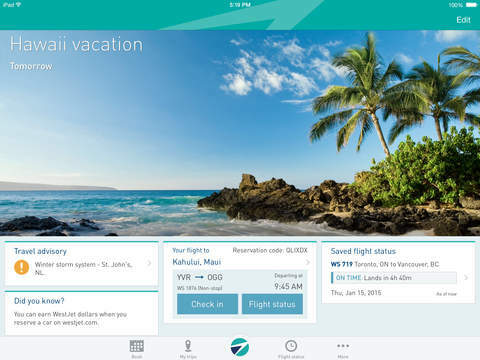 Westjet’s iPhone app launched last May, and introduced Passbook support and flight booking right out of the gate. Click here to download Westjet for iOS in the App Store.